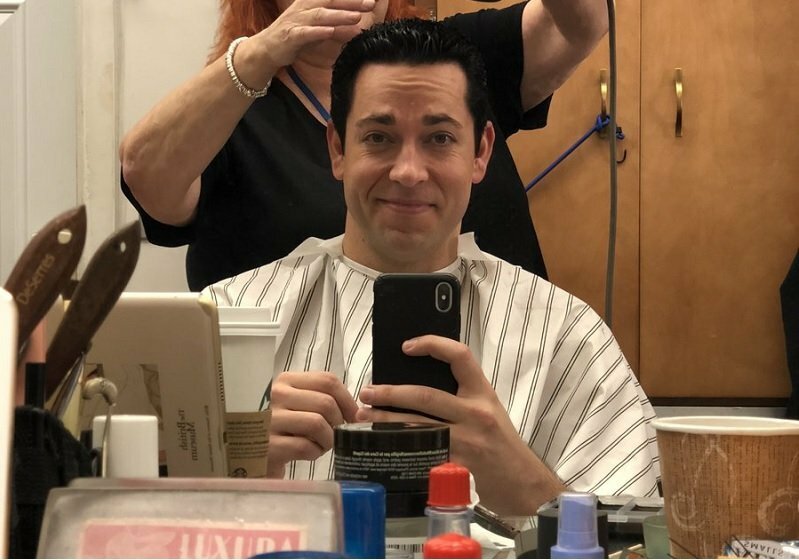 Zachary Levi (Chuck, Tangled) tweeted out a selfie while getting his hair done in the signature shiny slick back haircut of Shazam. The self-proclaimed nerd and comedic actor will be donning this ‘do of the magical superhero for the 2019 film, but that’s just one element of the iconic look. Director David F. Sandberg did address the important issue of the World’s Mightiest Mortal’s costume in a couple of Reddit comments. Answering a question from a fan on the DC Cinematic Universe subreddit last Friday, Sandberg said the suit reveal is just around the corner. The filmmaker also replied to another thread about the costume reveal date, saying that it will look similarly to the superhero’s suit in the direct-to-video animated movie Justice League: War. Shazam! stars Zachary Levi (Chuck) as the titular DC Super Hero, along with Asher Angel (Andi Mack) as Billy Batson, and Mark Strong (Kingsman) in the role of Super-Villain Dr. Thaddeus Sivana. A New Line Cinema production, Shazam! is set for release on April 5, 2019. It will be distributed worldwide by Warner Bros. Pictures. What do you think of Levi’s haircut? Is he looking superheroic? What do you want to see in the upcoming Shazam costume reveal? Let us know in the comments!